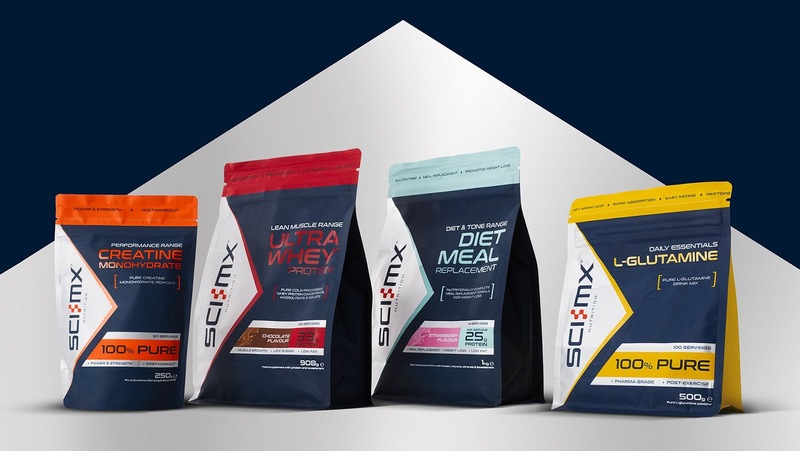 Leading sports nutritional brand SCI-MX, future-proofs its brand with a new positioning and design strategy. Its challenges were to stand-out in an increasingly crowded market place and introduce the brand to a new audience. The solution is a bold creative treatment with a triangular graphic, symbolising strength and peak performance, to motivate consumers to achieve their personal best. 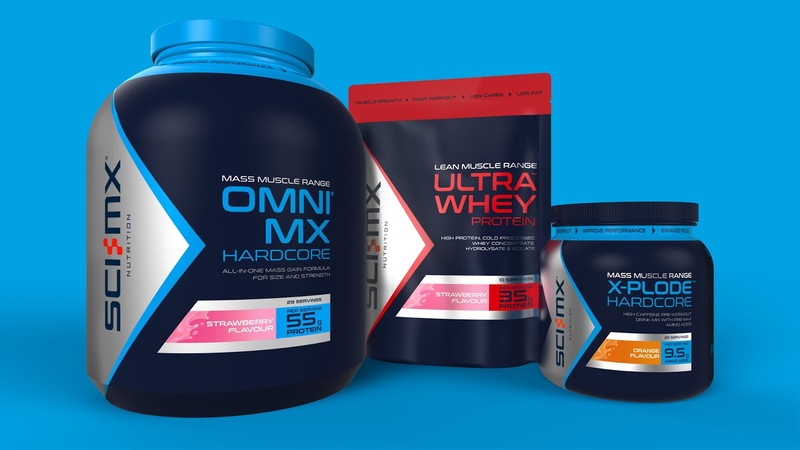 Consumer perceptions of protein have shifted considerably in the last ten years, from a bulking supplement for bodybuilders, to nearly 50% of UK adults believing it is now a vital part of a healthy diet. 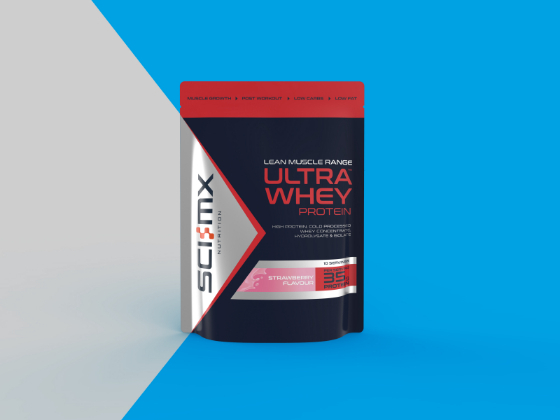 As a leading player in the market, and keen to make the most of this opportunity, SCI-MX wanted to make its brand more approachable by transforming its identity across its existing and extended range of protein-rich products to cut through in this growing market. Partnering with their strategic brand design agency bluemarlin, the new confident design system, represents the pursuit of your ‘Optimised Self’ which isn’t about perfection or making comparisons, rather, it is about that continual journey towards self-improvement. The new design communicates this message with a visual expression that is clean and powerful. 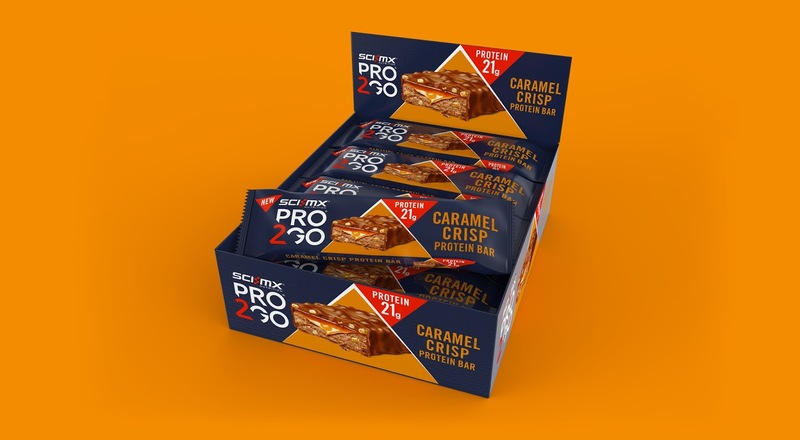 By simplifying its communication and stripping away the category jargon, the product ranges are easier for consumers to navigate to find the nutritional solutions they seek. The result is a powerful brand expression that sends a positive message of empowerment, strength and achievement.